I have to admit taking a short unplanned hiatus from my blog writing due to a whirlwind of personal and business activities the past few months. But now it’s time to get back into the routine of things, and bring you some great new author interviews! If you haven’t heard of Chuck Gallagher before, you’ll want to listen to the video at the bottom of this post. He’s got a riveting story and an engaging sense of humor that you won’t want to miss. When I reached out to Chuck in January to ask if he’d be interested in being one of my Featured Authors this year, he was happy to oblige, but requested October for his interview month. I know October is strange, but that will be twenty years since I was incarcerated, so the book Second Chances will have its beginning two decades ago. I don’t know whether to say we’re happy to help him “celebrate” the anniversary or not, but I’m happy we put this on my calendar back then. It’s just the push I needed to start working on my blog schedule again. If writing a book can change a life, then pouring my heart and soul into Second Chances was an act of love that will bear fruit that I will never see…but that nonetheless is bountiful. Writing a book is one thing, but how that book will be published and distributed is quite another. Honestly, the concept of mainstream publishing was not an option for me. Unless you have a name or large tribe, mainstream publishers aren’t interested. Therefore, the only logical option was some form of self-publishing. The idea of maintaining ownership of and content control was appealing to me. While I went with a local provider of self-publishing services, the second edition was published through Createspace (an Amazon company) and through BookBaby. Both allowed easy distribution in both eBook and traditional print publishing. The simplicity of getting quality material to market is quite amazing and since I am responsible for the sale of my books, the easier the better. Both avenues have been outstanding. Tara: How easy was it to get your book done? 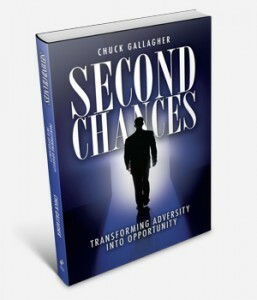 The initial phase of writing Second Chances took me on a journey that lasted three years. Once the initial draft was complete, the project took on real and valuable form with the inclusion of a qualified editor. As a side note, far too often I see people get so caught up in their story or their writing that they fail to secure the services of a professional editor. I can say with great candor that my editor challenged my assumptions and that the book that finally emerged was far better than the manuscript that he initially received. That taught me a great lesson. Use a professional who gets your voice, but will be willing to challenge you to make your product (your book) the best it can be! Tara: How did you distribute the book after publication? “How are you going to sell your book?” That was a significant question that I was asked along the way and the one thing that I caution most authors to examine. For me, as a professional speaker, I knew that the majority of my book sales would be “back of the room” sales at seminars where I was invited to speak. Distribution of the book would most likely be: (1) paperback copy at the back of the room; (2) through Amazon and (3) via eBook (iPad, Kindle and to a much lesser degree Nook). Tara: How are you marketing and promoting your book? You are your best sales person. Unless you’re an established author, the reality is you are expected to sell you! The one thing that is annoying to me are those who promote their ability to help you sell your book, when in fact they are more interested in selling that concept to you. Books are bought because people feel that they will be better off because of their purchase. So the question you need to ask yourself is: What problem do I solve for the buyer? If you can’t easily answer that question, you’ll have problems selling your book. Facebook for broad-based consumer connection and LinkedIn for impactful business connections. Be clear about who your audience is and what problem your book is positioned to solve. Let’s be clear, you won’t make a fortune from selling a simple book. Rather, your book gives you credibility that can propel your career (speaking, coaching, consulting) forward, which is where the more lucrative fees are found. Who’s your audience, what problem do you solve, and how will you position your thought leadership (through writing your book) to help you capture that audience in a way that moves your career forward. Answers to those questions represent the key to success in book selling. Want to learn a little bit more about Chuck? 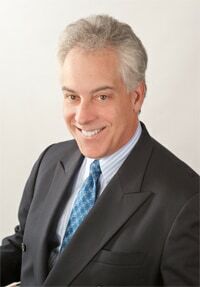 Check out what he has to say about Business Ethics in this great video.